In his First Advent, Jesus was hailed on the 10th of Nisan as King when He rode into Jerusalem on the colt of a donkey as prophesied by Zechariah. What is commonly referred to as “Palm Sunday” was the day that the lambs for the Passover were selected and watched over until the 14th at twilight when they were slaughtered. Yeshua instituted the New Covenant in his own blood at the Passover. He was entombed on the Feast of Unleavened Bread and rose on the day after the Sabbath on the Day of Firstfruits. Fifty days later, on Shavouth (the Feast of Weeks), the Holy Spirit descended in power and the church age began. All 4 of the Spring Festivals were fulfilled during the same calendar year. 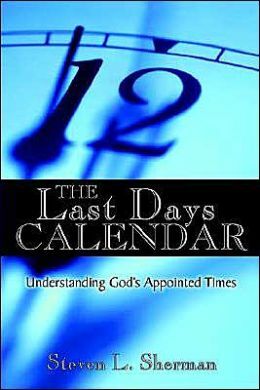 WHY then do theologians insist that in the Second Coming, the Rapture occurs on Rosh HaShannah/Yom Teruah (New Year/Day of Trumpets) and that either 7 years later (pre-trib) or 3 1/2 years later (mid-trib) Jesus comes back to rescue Israel on Yom Kippur? Yom Kippur occurs 10 days after Yom Teruah. There are then ten days left between the Feast of Trumpets and Yom Kippur. Religiously observant Jews know these ten days as the Ten Days of Awe. Between Rosh HaShona and Yom Kippur, Jewish people worldwide wonder, will their names be inscribed in the book of life for the coming year? 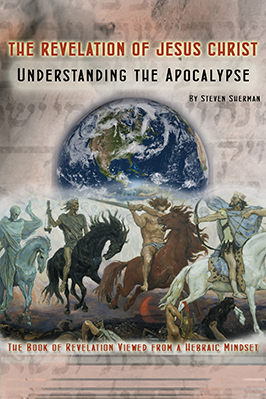 If the Church is raptured on Rosh HaShona to meet a glorious Christ in the air (not a “secret rapture” as portrayed in popular Christian media), the Jewish people would literally look upon the one their leaders had pierced on the cross through conspiracy with Rome, astonished at their rejection of Messiah to open the days of awe and days of repentance. Christ will rapture His Church away for both judgments as to rewards and to celebrate at the marriage supper of the Lamb (Revelation 11:18; 19:9). The Lord will pour out His spirit of grace upon the remnant of Israel on those who have survived the tribulation, “Jacob’s trouble.” Jacob is the father of the twelve tribes of Israel. God’s spirit of grace upon the surviving remnant from the twelve tribes indicates that Jacob’s people in the future will be saved both physically and spiritually. A spirit of supplication will drive Israel to her knees in desperate and fervent prayer during the Ten Days of Awe. She will mourn because the true Messiah of Israel came only for those in the Church, Jews and Gentiles, and now is gone again soon after! Israel will be on Earth during the pouring out of the last seven plagues. All Israel will be saved, but the promise to redeem corporate, national Israel would not have occurred until the Day of Atonement. Doesn’t this make a lot more sense than 7 years or 3 1/2 years later after the rapture then Christ returns?? ?